We have discussed the sorry state of passwords in many recent articles. 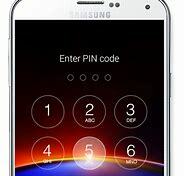 There is an alternative to passwords and pins that may be coming to a smartphone near you. It is called SemanticLock and it uses emoji-like icons to unlock your smartphone. Most smartphones go unsecured mainly because most people find it difficult to enter a password using the on-screen keyboard. 4 to 6 digit numeric PINs are slightly easier, but due to their shorter length, easier to crack. Swipe patterns are easier still, but susceptible to the “grease attack,” or observing where the finger has left skin oils on the screen. SemanticLock uses 20 icons, which can be rearranged to reproduce a security phrase or visual pattern. The icons position on the screen are rotated periodically to eliminate revealing smudge patterns. In theory this should be at least as secure as a PIN. In terms of ease of use, SemanticLock was a bit slower than pattern locks, but faster than PINS and a lot faster than passwords. Looking at memory retention, icon location was successfully remembered 90% of the time, versus 30% for patterns and 50% for PINs. With smartphone manufacturers moving toward biometric solutions such as the fingerprint reader (on the Google Pixel) and facial recognition (iPhone), there may not be an overwhelming rush to this technology, but I expect it will be available as an app at some point, and perhaps worthy of consideration. It is always nice to have alternatives.